They sound like something out of a movie villain’s secret rocket base, but exotic and toxic fuels with names like “pentaborane” and “HEF-3” were once the height of cutting-edge Cold War technology. Of all the sources about such science-fiction stuff, the most entertaining is the one written by a luminary few people have heard of. In his delightful and irreverent memoir Ignition! An Informal History of Liquid Rocket Propellants, rocket chemist John Clark devoted a whole chapter to the quest for boron-based fuels in all their corrosive, explosive glory. The story begins in 1910, as scientists started experimenting with a curious chemical fact. The element boron sits right next to carbon on the periodic table. Carbon, we know, makes our world go round. By the 1930s, scientists learned that hydrogen-boron compounds — with carbon atoms replaced by boron atoms — can produce up to 40 percent more energy during combustion than conventional hydrocarbon fuels. Given the possibility of powering a new generation of military machines with these boron-based fuels, it was only a matter of time before the American and Soviet defense complexes began investing time and money. The U.S. Army was most interested in rocket fuel. The Navy and Air Force wanted jet juice. Project ZIP — the Navy’s development effort — kicked off in 1952 and identified pentaborane and ethyl decaborane among the most promising compounds. The project also gave boron fuels their nickname “zip fuels.” The Air Force called its versions HEF-1 through -5. Ethyl decaborane made up HEF-3. The Air Force was also planning its next-generation bomber to replace the B-52 in the late 1950s. 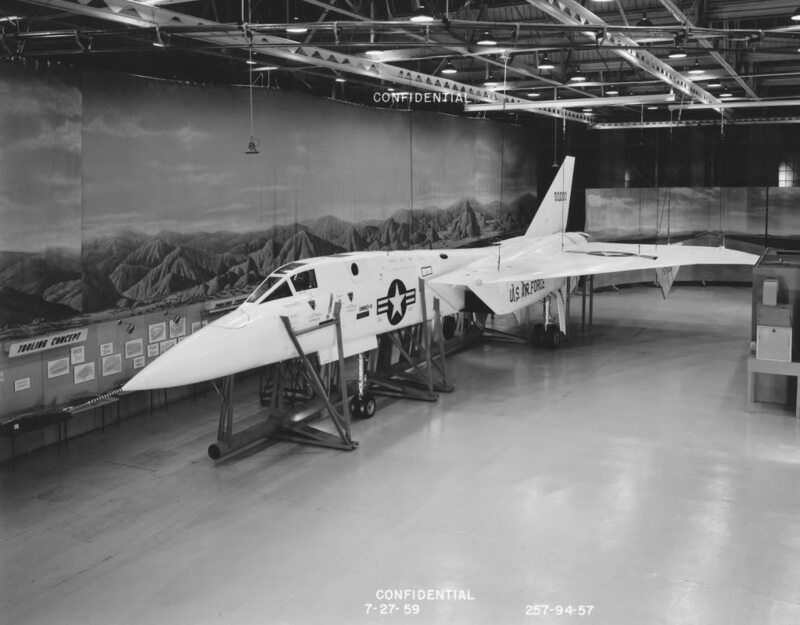 The North American XB-70 Valkyrie — a prototype for the proposed B-70 strategic bomber — was arguably the fastest aircraft America ever made. Had the bomber not been canceled, its afterburners would have burned zip fuel. The afterburners would also have contained almost no moving parts — allowing the bomber to make high-speed dashes to targets without being dragged down by a huge weight penalty. The chemistry and mass production of boron fuels were well understood. The same mines that supplied laundry detergents to American housewives also fed the production of exotic new fuels at plants in Oklahoma and New York. The mule teams might plod along to Ronald Reagan’s cheery voice, but the B-70s and their F-108 escorts were going to shred the sky at Mach three. However, like so much scientific and technological progress during the “Happy Days,” the invention of zip fuel turned out to have a serious drawback. Their use was extremely dangerous. For one, several borane compounds are highly corrosive and can spontaneously ignite when mixed with oxygen. Engineers proposed adding resistant materials to fuel systems and pressurizing them with inert nitrogen gas, but anyone who’s ever gassed up a car or boat knows that spills are inevitable. Now imagine tons of fuel injected into bombers and fighters parked on a flight line. One little spill could render the tarmac uninhabitable. Even in an era of widespread tobacco use, lead-based paints and few seat belts, the toxic nature of the zip fuels gave the Pentagon pause. Ground crews would be subject to much higher risks of poisoning and burns than they faced with conventional fuels. In addition to their nasty nature, zip fuels demonstrated two other awful qualities. When burned, boranes produce solid combustion byproducts that quickly attach themselves to parts of an engine. Some of these particulates are composed of boron carbide — an ultra-tough substance used for coating drill bits. You can imagine its effect inside a jet engine full of spinning, high-precision parts. Almost as bad was the dense, sooty exhaust. Nearly as toxic as the fuel itself, takeoffs and landings meant that poison clouds would inevitably spread over populated areas. The enormous contrails of black funk would also eliminate much of the stealth advantages of extreme speed and altitude. Plans were underway as late as 1960 to bring the zip fuels into service, despite their prohibitive cost of nearly $75 a gallon in today’s dollars. But it was not to be. 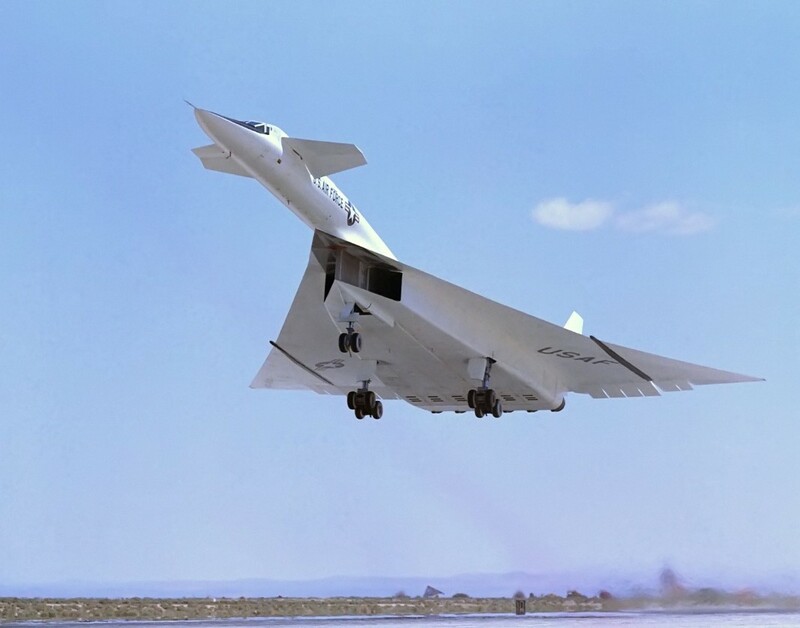 When the Air Force eventually canceled all zip fuel development and production, the B-70 program’s remaining two prototypes flew on conventional jet fuel — at the cost of turning one of the bomb bays into a fuel tank. Yet one boron-based fuel remained in use to the end of the 20th century. The SR-71 burned triethylborane and JP-7, a specially formulated, extremely pure jet fuel that’s extremely difficult to ignite. The boron-based starter fluid ignited on contact with air, causing the SR-71’s exhaust plumes to shine with their distinctive green flames. Before the end of the Kennedy administration, the zip fuels joined the atomic airplane and the one-man helicopter in the dusty magazine stacks of history, to lie slumbering until re-encountered in all their oddity. This article was originally published on Jan. 26, 2014.